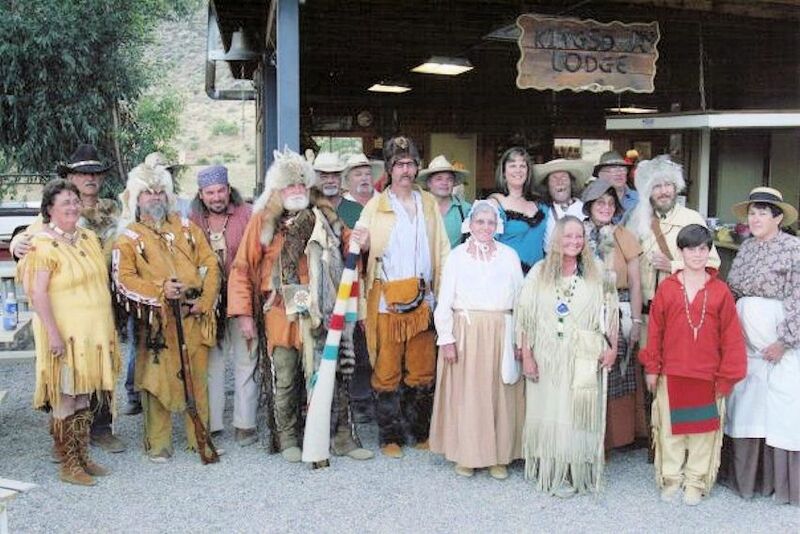 Join us for the annual Uncompahgre Free Trappers Happy Canyon Rendezvous on May 23-27, 2019 on Sims Mesa just south and west of Montrose, Colorado. 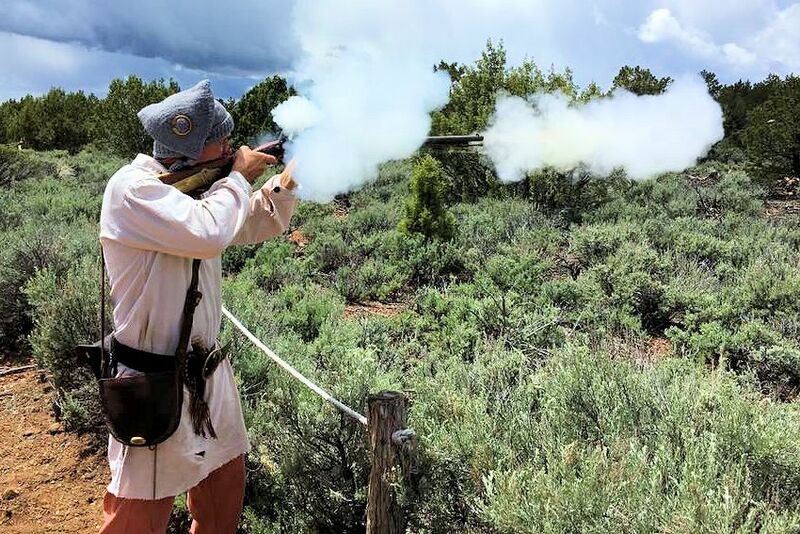 The Memorial Day Weekend primitive rendezvous offers lots of activities for adults and kids: Shoots for rifle, smoothbore and primitive bows, hawk and knife throwing, talent show, and camp pot luck dinner on Sunday before the Council Fire. All participants must be in primitive dress. Tin tipi (modern) camp is available. Firewood is available on site, but bring drinking water. Shovel and water bucket is required to have a fire. Directions: Head south from Montrose on U.S. Hwy 550 just south of town, past the cemetery. Turn west on Racine Road and follow to Sims Mesa Road. Turn Left and follow to the camp, just inside the National Forest Boundary. The site is about a half hour south and west of Montrose Colorado. Watch for rendezvous signs. 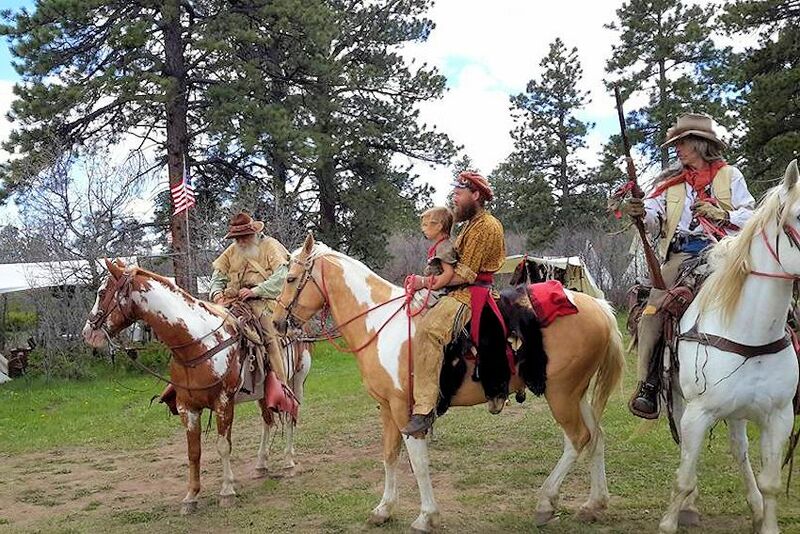 Mark your calendar today so you don’t miss the next Uncompahgre Free Trapper’s Happy Canyon Rendezvous on Memorial Day Weekend on Sims Mesa just south and west of Montrose, Colorado.